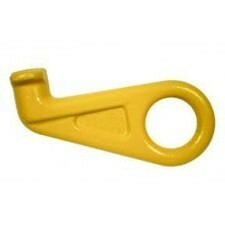 Thank you for browsing our range of container lifting lugs. We supply a range of the reputable Pewag container lifting lugs in different size configurations. All container lugs will come fully tested and certified to comply with the latest Health & Safety Regulations.